No.230 Cut-To-Order Nylon Cloth - Gilson Co.
NM-C No. 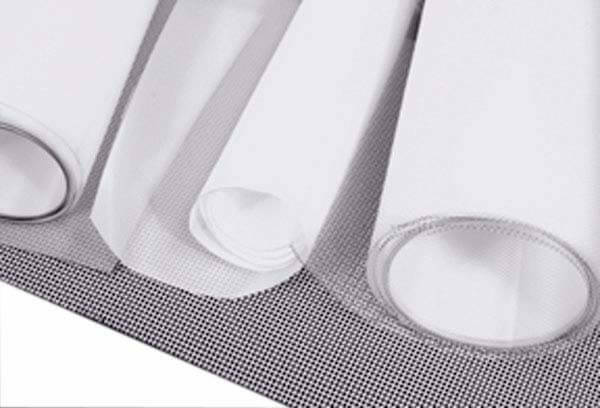 230 (63µm) Nylon Screen Cloth is an option when metallic wire cloth cannot be used for particle sizing. With its high tensile strength and superior abrasion resistance, this cloth is tough against high pH conditions but tends to stretch when wet. Each piece of cut screen cloth is priced by full square feet, so pieces cut to 10x10 inch or 2x3 inch would both be priced at one square foot. Prices shown are for square or rectangular pieces cut to the dimensions specified. Inquire for pricing of smaller pieces, special shapes, or pieces wider than standard 46in (1,168mm) roll width. Cloth cut to order is nonreturnable. 8" Sieve, All Stainless, Full Height, 5/16"